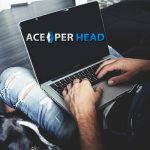 If you are in search for an all-inclusive online sportsbook solution that understands the importance of a keeping a client happy you have to visit and try AcePerHead.com, a complete online pay per head sportsbook service that has been created with client satisfaction in mind. 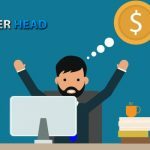 As the online sportsbook business has evolved, we have seen many sportsbooks come and go, some transformed into a PPH shop only because their day to day business was not generating enough money; others actually were born with the idea in mind of offering per head services but with no clue as to how to run a successful betting shop. 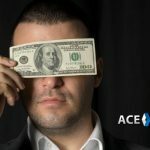 It’s important that you always do some research when looking for your business partner, and I say it in this terms because that’s exactly what a PPH sportsbook service turns out to be, and as in any other partnership it can turn out to be extremely profitable if you both have the same goals and objectives or it can end up being the worse mistake and end up hurting your company or even dragging it down along with them. Say for example the pay per head service you chose, because it charges a very low fee, hasn’t invested in the necessary technological infrastructure… this will translate eventually into a page that can’t be accessed during crunch time, phones that go down right before a big game is about to start… or even worse, they get a DDOS attack and you end up without service for, best case scenario, a full day… but maybe even two or three because there is no security in place and certainly no redundancy or back up… bad business. Another scenario: they rather save a bit of money on their payroll so you end up with bad lines, grading errors, horrible customer service, and clerks you can hardly understand. 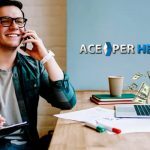 Needless to say, instead of helping your business grow by providing you with the tools you don’t have, these services end up giving you a lot of problems and making you lose a lot of money and business. Choose your partner wisely, make sure to test drive their services before you dive in, ask all the questions you need to ask and look online for reviews and references. 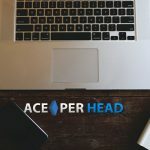 When it comes to a great balance between price and service, AcePerHead.com is certainly ahead of the game; they have taken all variables into consideration and run a tight ship. If you are going to pay, then go for a PPH sportsbook service that will truly see eye to eye with you on the mission of growing and providing high-quality service, you can’t afford to make a mistake when choosing your partner. Visit our services today.